Mozambique lies on the east coast of Africa that lies opposite of the Madagascar. It is a country of fine, natural harbors. Sand dunes and coastal swamps give way to a flat plain that rises to a high, grassy plateau. Numerous rivers fringed by tropical forest flow down to the Indian Ocean. The land has several natural resources, including coal and diamonds. However, 80 % of the people are farmers growing cotton and cashew nuts for export, or cassava, beans, and wheat to feed their families. These are the top ten not to be missed places in Mozambique. The Inhaca Island can be reached by taking the ferry that departs from Maputo every 2/3 days (cost 5 to 10 Euros depending on the class). The island, although very beautiful, is not very exploited for tourism so it is great if you want to enjoy a little quiet and discover the unspoiled part of Africa. If you are in a group or you find someone with whom to share the expense you can take a jeep tour to Santa Maria, where you can snorkel or climb to the top of the lighthouse where you can enjoy a great view, otherwise you can even stay in the village by making a walk along the beach and taste freshly cooked samosas that are on the market. At low tide you can find hundreds of colorful starfish right in front of the village. The island is phenomenal with bucolic, clean water, and warm temperature. Enjoy the trip and take a ride to the island with a local boat. The beaches always have fresh seafood and freshly caught fish. Upon arriving on the island several guides are waiting for you at the dock and it is highly advisable to rent a 4x4 to visit the turtle beach and lighthouse. Only the Indian Ocean has just as great attraction, because the waters are clear, even in a period of winter cold in Maputo you can bathe in these waters. Local restaurants serve good food and the prices are consistent with those found in Maputo. There u will also find a biological station. The whole day activity is all worth the ride. The Maputo Central Train Station is full of history and an old building of imposing architecture that shows the exuberance that the city has ever lived in the past. Some old trains decorate the place. The monument in the square in front is very interesting and shows a woman and a snake. The train station was made in 1910 by the same man who designed the famous Eiffel Tower (Gustav Eiffel). It is resplendent with its mighty and impressive marble columns in white color. It is a beautiful building with Victorian mansion aspect that is definitely worth a visit. Pastel green walls, wrought iron arches supported by columns to cover the platforms and a large wrought iron dome makes this old train station draw crowds and to marvel at its gorgeous interiors. It still works but only one train operates daily. It is located near the Kampfumo bar with good music and a jazz landmark for travelers. It's a vintage train station with a spectacular facade and an interior full of life. When you get to the square, It feels like you've gone back in time. There are many things to see aside from the old locomotives, you can stay at the spacious lobby where they have even filmed footage of well known movies shown every hour. However, for the best view and aerial photographs of the site climb to a building opposite the station across the square. For more than 30 years, the Villa Algarve was considered "the most beautiful house in Lorenzo Marques" (former name of Maputo). Both inside and outside its walls were lined with tiles made in the Portuguese city of Azulejos. They represented a handpainted, fired, and a glazed earthenware tile square shape measuring 14 cm by 14 cm that was widely used during the colonial period. The building was used to be occupied by the secret police of Mozambique to adapt it as a prison, where they kept and tortured political prisoners who opposed the colonial policy of the authorities. The many people who supported the Liberation Front of Mozambique were thrown into this prison. Here, in the period from 1965 to 1969 sat in solitary confinement poet Jose Kraveyrinya who later became the first president of the General Assembly of the Association of Writers of Mozambique. A little earlier, in 1964, Malangatana Valente Ngwenya, a famous local artist and poet spent 18 months in prison at Villa Algarve. After independence, the building was transferred to the jurisdiction of the Bar Association of Mozambique. But then gradually it began to decline until it is the way it is seen now - dilapidated, enclosed by a fence, with empty eye sockets of windows and lost tiles. In February 2011, the President of Mozambique Armando Emilio Guebuza announced that the Villa Algarve will be fully restored and the building will be given to the Museum of Civil War veterans. There is hope that the people will soon see it in all its glory. For now, it can only be admired from outside. While working in Portugal somewhere between 1875 and 1877 and for years on the construction of a railway bridge Maria Pia (Ponte de Dona Maria Pia) across the Douro River, Gustave Eiffel received an order to build two facilities in one of the Portuguese colonies - in Mozambique. One of the objects – the Maputo Central Train Station, built in 1910. The second - the so-called "Iron House", built in Maputo in 1892. Generally, the logic of the construction of the house in a subtropical climate is not clear. The house where the ceiling, roof, walls and walls made of pure iron is bound to be warm by day in the sun to such an extent that they thought such idea may not only work, but will also be impossible to achieve. Gustave Eiffel was understandable and laid out his designs and master plan for it is already the second iron house his collection of created facilities. A little earlier, in 1887, his project was already built. A two-storey "Iron House" (Casa de Fierro) in the Republic of Peru, where the climate is not much colder. After the construction of the facilities, Eiffel had heard rumors that live or work in it is not possible because of the heat and stuffiness. However, Eiffel built a second "Iron House" in Maputo for the Governor. Moreover, there is a third "Iron House", built after the Maputo in the Angolan capital Luanda. That Iron House (Palacio de Hierro) is all shrouded in mystery. It is believed that it was built in Paris and transported by ship to Madagascar. However, this is not the same story here in Mozambique. The Governor welcomed the idea and the house was constructed but he chose not to reside there. The house was empty for a bit, then used as a courthouse, then as a college and a business office. Now it serves as the permanent office for the members of the National Cultural Heritage of Mozambique. At the Feira de Artesanato Flores e Gastronomica the options are numerous for the wonderful crafts of Mozambique. Be ready to spend, and then bypass the sellers, as they have the power to convince you to buy. A tip: do not accept the first price because the sellers play up high values in order to trade and earn more. African art is beautiful and here it is especially attractive. The variety is huge and the high quality of craftsmanship is incomparable. There are spectacular pieces at affordable prices. The shawls are a high point, but the wood carving is fantastic, be sure to include them in your purchases. Be sure to secure a permit to the items so you will not have any problems at the immigration counter in the airport. The Maputo Elephant Reserve is an hour away from the town of Santa Maria. You must hire a 4x4 vehicle to see the huge elephants and their natural habitat. Every guest is advised to drive slowly along the paths of the reserve. The best time to enjoy the adventure here in the elephant reserve is to take the early morning drive to catch the animals while they are moving around and feeding their young. Take great pictures and do not swim on the lakes. If you need to fully explore the place visit the nearest island too and you can depart from this point to cross the Inhaca Island. The Peninsula is delightful and from Santa Maria you can rent a dhow (verify if the boat has sufficient petrol to get you back to the port) to take you to Inhaca island. 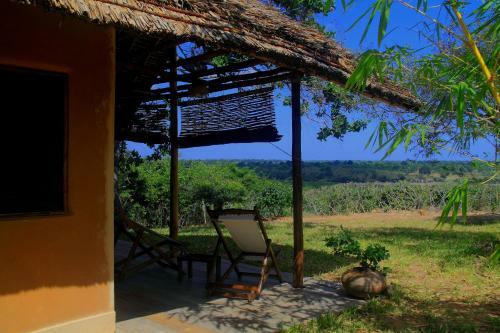 You can stay on the island or there is a camp 5km from the Santa Maria town on the Peninsula - Ponta Torres Camp where they offer accommodation and convenience in safari tents. The costs are sensible, the facilities are clean and kitchen is in back to basics set up. There is power, no air cons, yet there are fans. They additionally offer fishing activities and the sunsets from that point over the straight are totally astonishing - and at full moon, the sun is going down in the west and the moon climbing over the ocean in the east. The Natural History Museum of Maputo is located in a beautiful building with a wonderful view of the bay and contains an example of the former Mozambican culture before the Portuguese conquest. It has a very interesting collection of elephant fetuses in each of the 22 months of gestation. The museum leaves a good impression about caring for the animals and culture. You will love the mystique and beauty of the place. The calm and feel of nature in its wild state is a fantastic experience. Refurbished quite recently, the collections show all the limitations but also the poetry of its hundred years of existence. It is a fine example of the spirit of scientific dissemination (taxidermy) of the beginning of the last century. There are only stuffed animals that once roamed Mozambique that can be learned from here. You can spend a pleasant half hour and learn so much from this informative museum. The Fortaleza da Nossa Senhora da Conceicao is a historical Portuguese fortress on the sea that is still well preserved up to this day. After a stroll through the market this fortress is an ideal break from the hustle and bustle of the city. In the courtyard there are benches in the shade and the tour can last less than an hour. Admission is free and it covers all the entrance to its other features. There is a small museum, few batteries left, old statues, and rusty cannons on the sides that are meant for public viewing only. It is certainly one of the oldest fortresses in Maputo but still worth knowing with a good vantage point of the market, harbor and the Indian Ocean. In addition, the visit to the fort is free but a small donation would certainly benefit the maintenance. The Catedral de Nossa Senhora da Fatima in the region of Nampula is a respectable place of Catholic worship. It has marvelous architecture, inspiring paintings, and sacred images. It is one of the few attractions in Nampula which remained intact from the colonial era. It is clean, organized, and has enough space for people who want to profess their faith and found shelter and guidance. 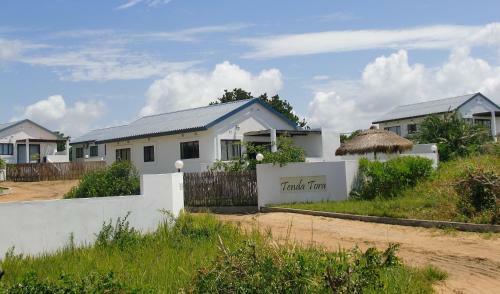 It is well maintained, provided with ample parking area, and located on the banks of the main avenue. The Mozambique National Ethnographic Museum is the best place to learn and understand the rich culture of Mozambique. It is housed in a beautiful building that has two iconic statues at the door and an impressive architectural design on its façade. Hire a guide to learn more about this interesting place. At the second floor you can see more old pieces as the guide explains the ancient traditions of the Macauas (a local tribe). Behind the museum there is a craft fair and souvenir shop. There is also a workshop built for the indigenous people, where the well carved artworks are proudly made. You can have the chance to meet the artisans and the silversmith who works on the beautiful necklaces and other pieces of silver jewelry that is being sold in the shop. This place is definitely worth checking out in Nampula.